So I've been reading a lot about freezer cooking & decided to give it a go. Its gotta be a more cost effective way of cooking and preparing meals. As a Slimming World consultant Im always on the look out for new recipes and ideas to share with my members. Freezer cooking is preparing and cooking meals in large quantities and freezing into batches - basically making your family a whole load of healthy preservative free ready meals! Please take a look at the list below f recommended blogs I used for inspiration. Last night, armed with pen & paper I made lists of what recipes I wanted to do & what ingredients I needed. I already quite a lot of meat & vegetables in the freezer a quick trip to sainsburys last night to get a few extras. Remember to take meat out of the freezer to defrost over night. First job is to get the potatoes in the oven for twice cooked jacket potatoes. These will take about 90 mins so get them in the oven first. I cooked 8 potatoes. In a large pan add 750g extra lean mince, tbsp garlic, 3 large carrots grated, half bag of frozen peppers & equal amount of chopped onion. This mixture makes basic cooked mince & is free on Slimming World Extra Easy plan. I used exactly the same recipe to make Chilli & Chinese mince. I cooked the same quantities adding mushrooms this time but instead of freezing when cooked I divided into 2 halves. Add 2 tins baked beans, 1 tin chilli beans, more garlic & 2tbsps frozen chilli flakes. Heat and taste, add more chilli if required. Free on Slimming World Extra Easy plan. Defrost overnight, reheat & serve with rice or over jacket potato etc. Add 1 beef oxo. 1 veg oxo, 1 beef stockpot, 1 tbsp Cranberry jelly, 1 tbsp tomato purée, splash of soy sauce, 1 tbsp of curry powder & 1 tbsp chilli powder. Heat & season to taste. 2 syns for total dish on Slimming World Extra Easy plan. In a bowl mix together teaspoon each of paprika, salt, pepper & arromat. place chicken breasts on a fry lighted tray, spray chicken and sprinkle on seasoning. Spray again with frylight and bake in oven until chicken cooked. Free on Slimming World Extra Easy plan. Add each cooked chicken breast to a freezer bag. Simply spray chicken breasts with BBQ frylight & roast in the oven. Slice into small strips & freeze. Free on Slimming World Extra Easy plan. Chop 4 chicken breasts into small chunks. Add tin of reduced fat chicken soup & small pot of Philadelphia extra light cheese. Add Italian chopped herbs. Bring to boil & let simmer until chicken cooked. Distribute into zip freezer bags. When ready to eat, defrost over night. Reheat and add cooked pasta. 27 syns for total dish on Slimming World Extra Easy plan. I made 3 portions which would be shared between 2 adults plus toddler and served with pasta so aprox 4.5 syns per serving. Slice cooled potatoes in half & scoop out the middle. Mash potato, add cooked chopped bacon & half pot of Philadelphia cheese. Mix well together and refill potato skins. Sandwich 2 halves together & freeze in zip freezer bags. 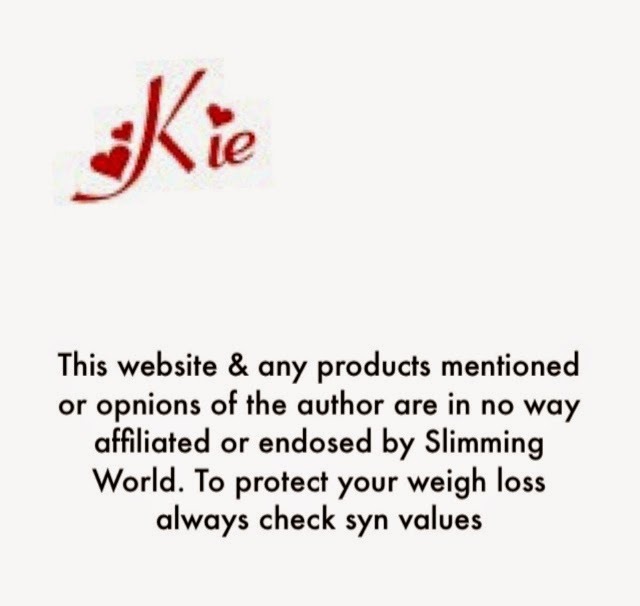 8 syns on Slimming World Extra Easy plan. I filled 8 potatoes therefore 1 syn each. And that's it! I could have made so much more, I only have a small freezer and was worried I wouldn't have enough room for these dinners but I only filled one drawer 3/4s so room for more next time! I've still got a load of veggies left so will make a curry tomorrow & freeze the left overs. 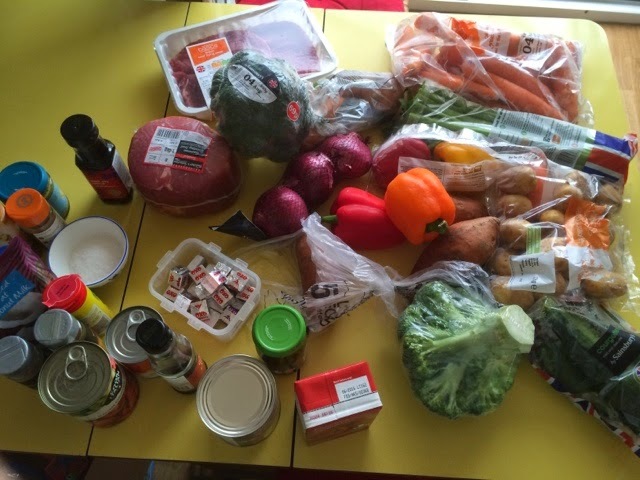 I made aprox 25 meals which works out to £2.60 per meal which will feed 2 adults and a toddler. Extra costs will be salad, pasta and rice. If you are interested in losing weight and learning more about food optimising with Slimming World, join me at my Tuesday Slimming World group in Great Wyrley. Oh my goodness, this is just the thing I've been after! Just started slimming world 5 weeks ago and work 12 hour shifts and have a 20 month old toddler so having meals ready prepared will be a godsend! Now to organise a day in the kitchen child free! One question, do you defrost the potatoes before opening them again? Thanks so much for posting this, looks fab!